We have been called upon by many times over the years by folks along Lake Roosevelt to work on their homes. This is one of the more beautiful stretches I’ve worked in Eastern Washington, with just about every home having an amazing scenic view. The waterfront homes we protect with our services typically have the most breathtaking expansive views of The Mighty Columbia, and on a clear, sunny day it’s pretty special. Last year our crews spent time in the Hansen Harbor area of Wilbur, WA painting interior trim and performing drywall repairs for a customer whose father farmed the land where Hansen Harbor now sits. We stained a custom cedar home using Sikkens for a Vietnam Veteran- Thank you for your service, Fred! Our carpenters and painters called Wilbur home for a two week period, while we completed a large multi- story deck construction project. Sidenote- Tom Foolery Pizza in Wilbur, WA is some damn good pie, their beer is always cold, and the owners are great people. In Lincoln, WA we sanded and refinished decks using Messmers UV Plus Oil Stain, for some nice folks. We painted more than a handful of exteriors in the area as well- Welch Creek, Redwine Canyon, Sterling Valley all have homes painted by Chewelah Painting. And we have all experienced a Staley Slammer- the best toddy in Lincoln, Washington. I tried counting all of the houses we painted or stained in the Seven Bays and Deer Meadows area. I lost count at 103. From new custom homes to single wide trailers, airplane hangars to mansions on the hill- we have worked on a variety of buildings, and met a lot of nice folks along the way, that we call friends- especially the ones who send us home with smoked kokanee and walleye! 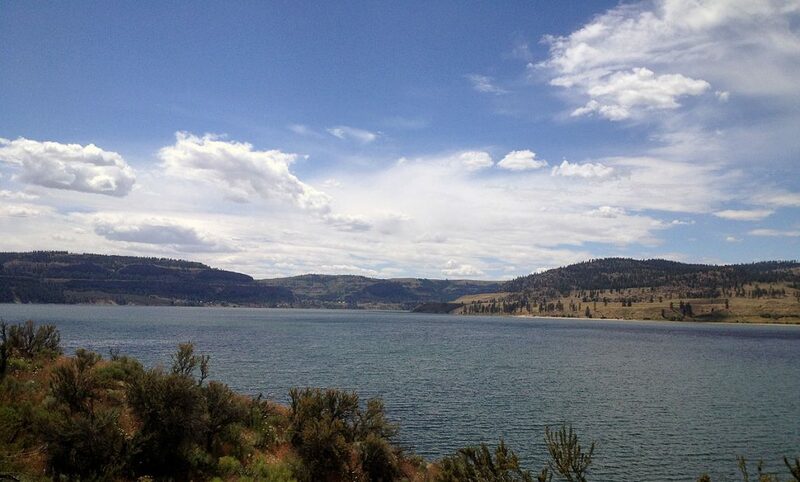 Many other small communities reside along Lake Roosevelt. We have refinished log homes, constructed decks & wire railing systems in Rice, WA. We have sanded and refinished decks in Gifford, WA, textured drywall and completed interior painting at Enterprise, WA. Last year, Inchelium School District invited us over to paint the interior of their school and complete some architectural upgrades in the cafeteria. 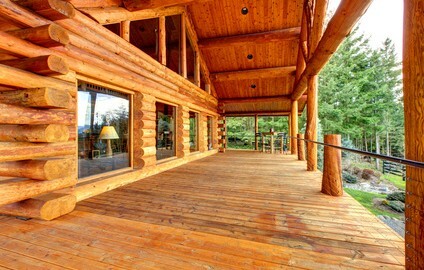 And this spring, crews will be in Keller, WA completing a log home refinish. Interior painting, exterior painting, log home refinishing, cedar home staining, deck sanding and refinishing, carpentry, deck construction, deck railing upgrades, barn painting and restoration. 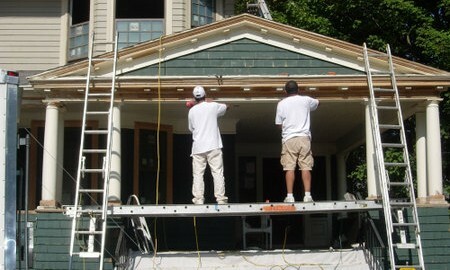 Chewelah Painting, our experts can do more than paint. We also have superior roofing contractors on staff to assist you with roof coatings and painting as well as various roof maintenance or repair. Each of our contractors is fully trained and our services are warrantied, to provide you with the utmost peace of mind when it comes to the ultimate protection of your home or business. Since roofing repairs, maintenance and painting is a not a one-size-fits-all approach, we will meet with you and perform a full evaluation to determine what you need. Each of our professionals is factory trained and knowledgeable about each aspect of roofing to provide you with the quality services that you want for your roof of your home or business. When you let our professionals assist you with your roofing needs you extend the life of your roof coatings as well as possibly decrease your heating and cooling bills by increasing efficiency. When you are able to cut down on your energy consumption and eliminate leaks, you will see lower utility bills and have a more comfortable home or business. Whether you are in need of roof coatings and painting or extenuating roof repairs, our professionals are equipped to provide you with the help that you need. We provide roof coatings in Spokane Washington and local areas including Ferry and Whitman County, Cueor D’Alene Ihaho and Priest Lake. Chewelah Painting is a small, quality driven company that works hard to meet the needs of each of our customers in the best way possible. Each of our painters is insured for your protection and are properly trained and supervised to ensure optimal quality of work. We specialize in interior and exterior painting, allowing you to use us for all of your painting needs. We have solutions for every project and are happy to discuss your needs with you or even provide a color consultation if you are unsure about the colors for your home or business. You can trust that we will use only premium materials and that our painting contractors will work hard and with the utmost respect to your property. We take pride in our proper preparation as well as cleanup to ensure that your project at your home or business is completed with the utmost satisfaction on your part. Log Home Staining ContractorsThe experts at Chewelah Painting understand the problems that log homes experience. We have extensive experience and knowledge in all aspects of log home refinishing and log home staining. Our experts can help you determine if you need a complete refinish of your logs due to extensive damage by the elements of the environment or if a simple restore or annual cleaning will suffice. You can trust that each of the products that we use to clean, seal and stain your log home are top quality and friendly to the environment. Our professionals will perform an in depth assessment of the damage or condition of your log home to help you determine the best path to take. We will work with you to determine the treatment plan that will provide the most longevity as well as the safest results for your home, giving you the peace of mind that you need. Our professionals use only top quality products including Perma-Chink and Sikkens to perform log home staining as well as high quality sealants to provide the extra protection that your home needs. Contact our professionals today to determine what type of services your log home needs and make your home safe and reliable today! We provide log home staining in Spokane Washington and surrounding local areas including Whitman and Ferry County, Coeur D’Alene and Priest lake Idaho. Chewelah Painting provides interior painting services for any aspect of your home. Whether you are looking to change the look of one room or your entire home, our professionals can help you achieve the look that you desire with the quality and expertise that you would want in your home. Our interior painters take their job very seriously, paying close attention to even the smallest details to ensure your utmost satisfaction. Our painters have the experience necessary to help you achieve an entirely new look in your home or just make a few simple changes; the choice is up to you. What you can rely on is our precision and dedication to meeting the exact needs of your project. You can trust that our interior painting services include clean, uniformed and skilled painters that are detail oriented and environmentally conscience. They use products that include VOC ‘Green’ Paint and take various other precautions to protect your family as well as your environment. As they work in your home, they will take as much care as they would take in their own homes, ensuring that proper preparations is performed as well as exquisite clean up so that you never even know that they were there. We provide interior painting servicesin Spokane and surrounding local areas in Ferry and Whitman County. 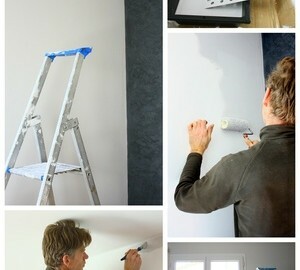 When you are in the market for house painters, you want to know that you are getting the absolute best. At Chewelah Painting, we employ only the finest house painters to ensure that every customer is 100 percent satisfied with our painting services. With attention to detail from start to finish, you can trust that our painters will provide your home with the value and longevity that you would expect from professional painters. Our house painters can help give your home an entirely new vibe, simply with a new coat of paint. Whether you want to change the color or simply touch up what is already there, our painters can help you create the atmosphere that you desire in any room in your home. Our painters give careful attention to every detail of your painting process, starting with the preparation in order to provide your home with the results that you desire. You can trust our professionals to protect your belongings in each room before they start working, as well as prime and caulk each area to ensure a long-lasting finish. We want you to be able to enjoy your newly painted home for many years to come. At Chewelah Painting we provide full service home painting that includes small jobs, such as trim and fascia painting all the way through whole house painting. Our painters are only the finest in the Spokane area and are ready to ensure that you are 100 percent satisfied with the finished product. Our painters look at each home as more than a job, but as a goal to create an atmosphere whether inside or out, that you are proud to call your home. Whether you are painting the interior or exterior of your home, the right color will bring out the best in your home, providing you with the atmosphere and look that you desire. We will work with you from beginning to end, helping you to choose the right color and executing the proper painting techniques to make your house look and feel like a home. You can trust our home painting services to provide you with the exquisite attention to detail that we would provide our own homes. We have earned our reputation and loyalty of our customers through our precision and attention to detail. We make it a habit to ensure that our customers are extremely satisfied with our services before we consider any job complete.